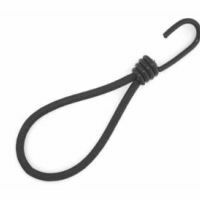 6mm Black Polyethylene bungee cord loop fitted to a plastic-coated steel wire traditional bungee hook. 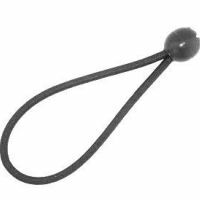 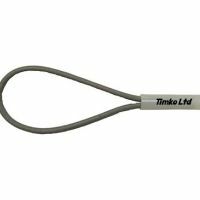 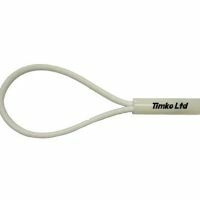 These hook ties are extremely handy fittings that comprise of a loop of 6mm diameter bungee cord fitted to a plastic-coated steel wire traditional hook with a spiral base. 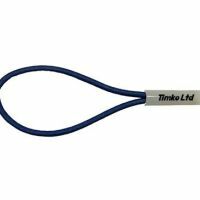 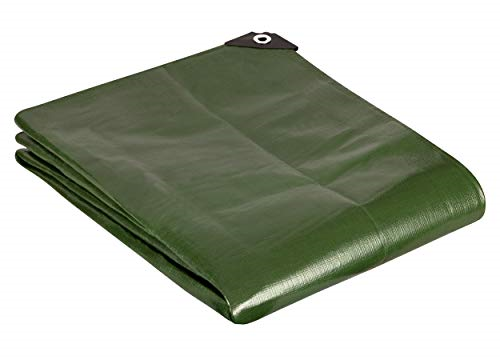 These hook and loop bungees are widely used to secure tarpaulins, banners, canvas, trailer and boat covers and also marquee sides & market stalls to frames and fixed points. 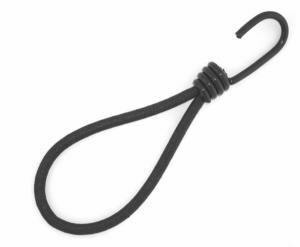 The elastic bungee cord is made up of a natural rubber latex core protected by a braided, high strength, UV resistant polyethylene outer core. 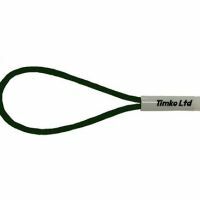 Size is 6mm Diameter Bungee Cord x 250mm.